'The Missing Piece' report is published to coincide with World Pneumonia Day 2018. Southampton researcher, Dr Michael Head, is calling for immediate action to tackle pneumonia after a new report named the condition as the leading infections disease killer in the world, claiming an estimated 2.6 million lives in 2017. Dr Head, Senior Research Fellow in Global Health in the Clinical Informatics Research Unit at the University of Southampton, is a major contributor to the report ‘The Missing Piece: why continued neglect of pneumonia threatens the achievement of health goals’ published to coincide with World Pneumonia Day (Monday, 12 November). Using the latest Global Burden of Disease (GBD) data, ‘The Missing Piece’ report places the responsibility for such a high death rate on the historically low priority given to pneumonia by national governments, and the relatively low levels of international development assistance and research and development (R&D) spending allocated to pneumonia-related activities. “Pneumonia is a disease that has not caught the public’s attention, despite the massive number of deaths each year,” said Dr Head who has also been named as one of 10 global ‘Pneumonia Fighters’ by the campaign group Just Actions for pushing research boundaries. ‘The Missing Piece’ report shows that pneumonia prevention, diagnosis, and treatment is not a priority for domestic health budgets, as the disease attracted just 6% ($US5.7 billion) of the total $US92 billion in development assistance allocated between 2007 and 2016 to HIV-AIDs, malaria, and pneumonia. Further, between 2000 and 2015, pneumonia attracted 3% ($US3 billion) of infectious disease R&D, according to an analysis by the Research Investments in Global Health (ResIn) study produced by Dr Head and his colleagues at the University of Southampton, Harvard and London School of Hygiene and Tropical Medicine. These low levels of spending are in stark contrast to pneumonia’s infectious disease burden - more than 25% of all infectious disease deaths, according to the GBD. Progress in reducing pneumonia deaths has not kept pace with other leading infectious diseases. Between 1990 and 2017, pneumonia deaths fell by 25%, compared to 88% for tetanus, 86% for measles, 47% for HIV/AIDS (since the peak of the epidemic in 2003), 46% for whooping cough, 41% for typhoid, 39% for diarrhea, and 38% for meningitis. Slow progress in reducing pneumonia deaths will prohibit many countries from achieving the Sustainable Development Goals (SDGs) for child survival (SDG 3.2), communicable diseases (SDG 3.3), and access to vaccines and medicines (SDG 3.8). Two-thirds of pneumonia-related deaths occur in a diverse group of 20 low, middle, and high income countries, including India, Nigeria, China, Japan, and the USA. Despite progress in reducing child pneumonia deaths in all of these countries, many still have a long way to go to end preventable child deaths by 2030. Others are facing sharply rising pneumonia deaths among the elderly, and some are challenged with “double burdens” of pneumonia deaths among both children and the elderly. GBD data shows that, unlike many infectious diseases, pneumonia deaths follow a “U-shaped” curve across the life-cycle with 75% of the 2.6 million deaths concentrated among the very young (809.000 deaths) and the very old (1.13 million deaths). The report recommends several course correction strategies. First and foremost, high-burden countries should introduce pneumonia control strategies to fully protect their most vulnerable populations with the pneumonia-fighting vaccines (Hib, PCV, measles and RSV when available), and ensure access to diagnostics (pulse oximetry) and treatments (recommended antibiotics, oxygen, and therapeutic foods). Specific strategies to reduce the major risk factors for pneumonia death among children (child wasting, air pollution, preterm birth), and adults (smoking and alcohol use) should also be implemented. The report acknowledges that some countries will continue to require international development assistance to achieve pneumonia control and that increases in the historically low levels of development assistance allocated to pneumonia will be required. Global actors should ensure that development assistance helps countries in their efforts to better align their domestic health spending with national disease burdens. They should also lead the development and uptake of breakthrough pneumonia-fighting technologies, especially those than can reduce the incidence of pneumonia and ensure that people who get sick make a full recovery. This includes supporting promising new tools, including the emerging RSV vaccines, and a rapid diagnostic test for pneumonia that would remove a major obstacle to effective pneumonia treatment, rational antibiotic use, and continued antibiotic effectiveness. 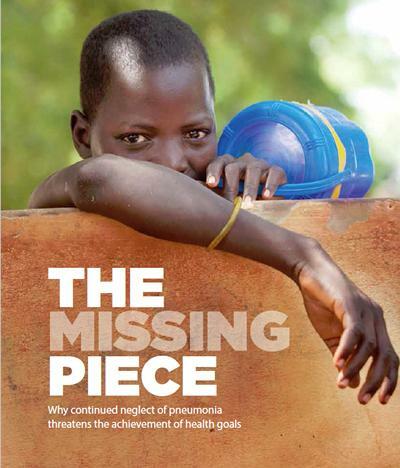 The report ‘The Missing Piece: why continued neglect of pneumonia threatens the achievement of health goals’ is published by Development Initiatives and Just Actions. 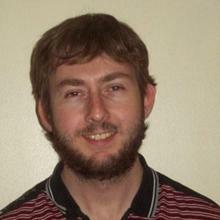 Michael is a Senior Research Fellow who started at Southampton in October 2015.